For nearly two and a half decades, Banco de Gaia has been consistently redefining world electronic music, with his releases on Planet Dog and Six Degrees making countless rotations around the globe, rousing dancefloors and winning fans along the way. In the process, the Banco name has become iconic: a hallmark and staple of global-influenced, genre-blurring, high production values electronic music. Apollo is Banco's first new studio album in 7 years and brings together heavy dub beats, powerful vocal arrays, and lilting melodies, drawing inspiration from both old and new schools of sonic artistry, and in doing so blending the subtle flavours of the act's historical sound with modern day techniques and ideas. Apollo opens with the powerful and evocative Lamentations, featuring the ethereal vocals of Zhenia Mahdi-Nau, before slipping into Wimble Toot, whose initially stuttering drums and bass build into a relentless rhythm, peppered with reggae style horns and saxophone, nicely setting the scene for the foot stomping, dust raising, dancefloor rousing Eternal Sunshine. For Such A Time is classic Banco in a 21st Century style, with its ambient pads, crisp hi-hat and dubby bassline providing a welcome respite before the tidal wave of energy and emotion that is Apollon: a bouncy blend of acoustic and electronic sounds weaved together by melodic strings and funky bass. Hu! maintains this momentum, with sultry Mediterranean inspired melodies underpinned by global beats and breaks. All Sleeping, featuring the legendary flautist Tim Wheater, is not just a step down in tempo, but also a step down into another world, a world of dreams, a world of fantasy. Oreia winds us back into consciousness, with sinuous oud, strange counting voices, Balinese chorus and haunting Turkish clarinets. 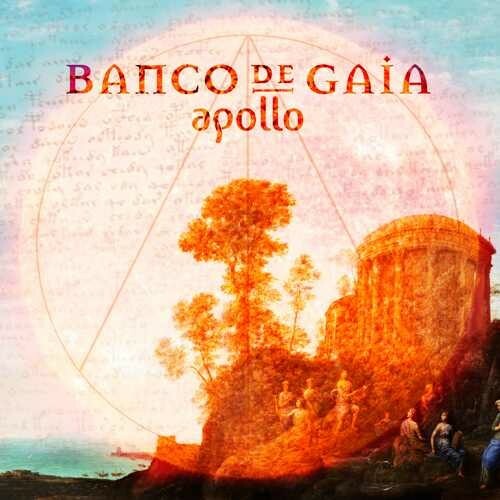 The album ends, as it began, with the engaging voice of Zhenia Mahdi-Nau gracing Acquiescence, providing an affirming coda to the very welcome return of Banco De Gaia.